Going through the photos I’ve taken over the past year, including my period without internet activity I came across this photo of a Lucozade bottle. A local drugstore was giving them away for Father’s Day 2007. Yes, random I know 😆 My first instinct was to check the expiry date… to my surprise it was still good! 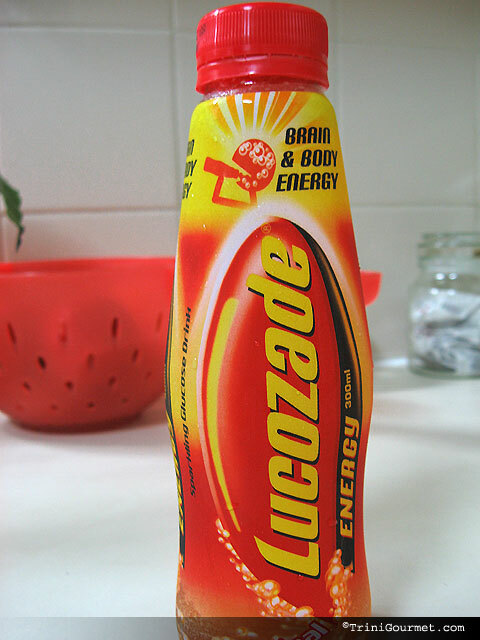 To those who don’t know, Lucozade is the British ‘equivalent’ to Gatorade. And although I now prefer Gatorade, Lucozade will always have a sentimental place in my heart as I grew up on it. I can’t say I’m a fan of Lucozade’s new bottle and design, but maybe this is what the ‘kiddies’ today find appealing? Growing up Lucozade was symbolized by the hella-fine British decathelete Daley Thompson (only one of the greatest athletes/medalists ever), who appeared in a series of ads for the beverage.